It is one of the toughest marathons around! The 2018 Sani Stagger Marathon is coming soon! 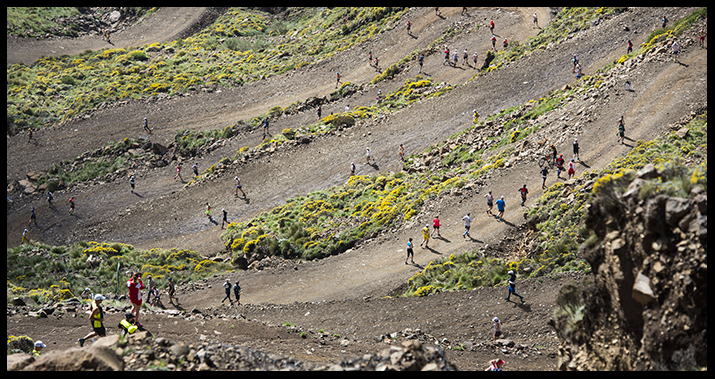 The sold out Sani Stagger Marathon is one of the most challenging marathon's that one could take on with the full marathon taking runners to the top of the iconic Sani Pass and back down again. The race is a 2019 Comrades Marathon and Two Oceans Marathon qualifier with the qualifying time set at five hours. The 21.1km half marathon is also sold out and the race is set to be another spectacular event this year. It will once again provide runners with incredible views and breath-taking scenery. The newly added Stagger Trail (ST) is a one day Trail Run with a choice of two distances: 38km/21km and will also take place on Saturday 24 November. Based at the Premier Resort Sani Pass and run in conjunction with the Sani Stagger road marathon and half-marathon, the Stagger Trail traverses a number of the most iconic trails in the surrounding Maloti Drakensberg World Heritage Site. Both routes are characterized by genuine mountain trail with occasional technical sections and some challenging climbs which make for a truly authentic trail running experience.